Kobe retired 2 different jersey numbers tonight. Did y’all hear me? I said Kobe just retired 2 different jersey numbers tonight. That’s right, both #8 and #24 hang up high in Staples Center. For twenty years of my life, I watched Kobe literally pour blood, sweat and tears into this game of basketball. He did it with only the type of grit and grind that could be initiated by thee Kobe Bryant himself. 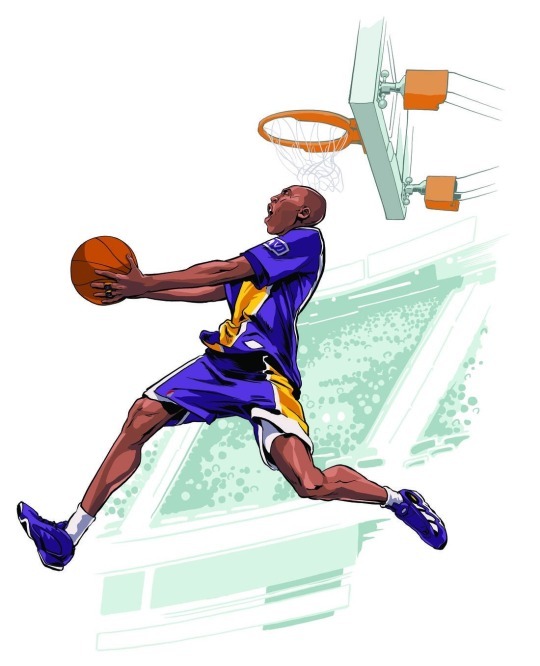 Coming up as a kid who played the sport of basketball myself, I remember watching Kobe come into the league as a rookie and wow the world with an awesome Dunk Contest championship. Remember those airballs against the Jazz in the playoffs. So many moments, so so many. If I can be honest, and people think I am crazy but I still have not seen a basketball player like the #8 Kobe. Fearless, athletic, fundamental and a straight up monster on the court. There were no friends, there was no buddy ball, hell he didn’t even like his teammates lol. The fact is, he was great though. And not great because it was just God-given ability, but great because he worked at it. Each season coming back with a different component added to his game. Oh, and he managed to come up with 3 titles while playing with the great Shaq. And if you say these were his Robin years, check the damn stats!! With no Kobe, there were no rings and truth be told his intensity and push to be great pushed Shaq to stay on tip as well, it will never be said but I can guarantee it. A little bit older, a lotta bit wiser, Kobe returns growing with the name “Mamba,” but this time he is wearing the number 24. There is no Shaq, the winning seasons have lead to disappointments and early playoff exits and this is without question his team. So what does a great do, he gets in the lab to work on his game, even past the physical, he knows its now mental. The Mamba can see why the grind is so important, I mean a young Kobe has had championship success, but the challenge is now getting THIS roster to understand the grind. A few changes to the roster but Kobe finds a way to challenge everyone on the roster from 1 to 15, in his way, the tough love way. Killing teammates in practice so they go home and have to think about it. Forcing them to compete at the highest of levels in practice only paid benefits when the Mamba got this team to add two more championships to his already legendary career. In between these short paragraphs are a ton of details that are left out but I’ll leave that up to you all to read study and watch YouTube on. Just know that if you got to watch Kobe Bryant compete, whether it be KB8 or The Mamba or maybe both, you watched one of the Greatest Of All Time. And even more important, he did it his way.